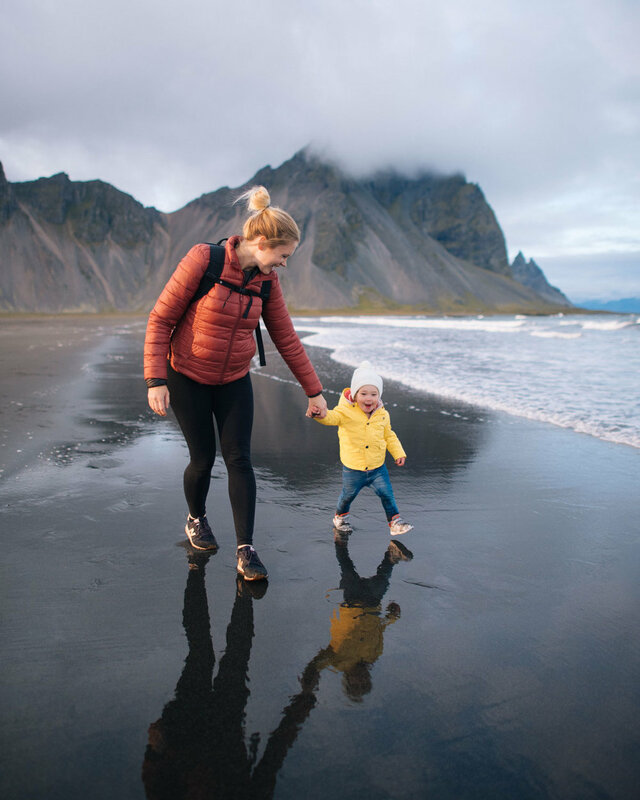 The Walton Adventure — Iceland Family Travel Itinerary! We have been traveling with our little Whitney since she was four months old. She is currently nineteen months old and has been to 15 countries! We have loved experiencing the world through her eyes as we’ve travelled to new destinations. Traveling with a baby is a challenge at times but we think that the joy that comes from traveling as a family far outweigh those challenges! 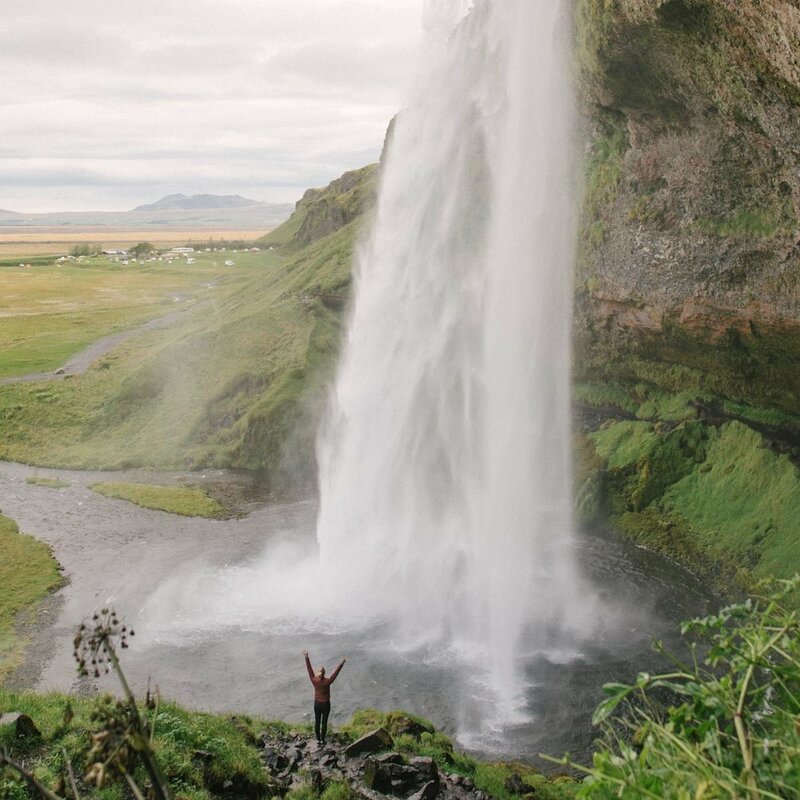 Iceland is a beautiful country (to say the least) with volcanoes, glaciers, waterfalls, black sand beaches, cliffs, mountaintops, and more! 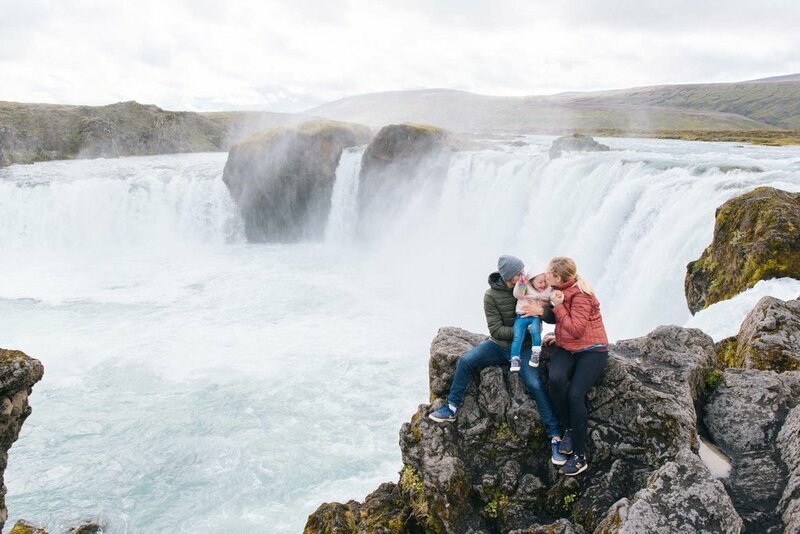 Prior to visiting Iceland we had heard that not only was it beautiful but very accessible for families traveling with kids! Our trip was a total of 10 days. We booked a campervan for the first 7 days and then stayed in an Airbnb for the final 3 days. While in the campervan we travelled the Ring Road route, the main highway that goes around the entire island. We are so glad that we chose to do Ring Road because it took us to some of Iceland's most iconic locations! Waterfalls, beaches, and canyons were all completely accessible with a one year old! If the destination was not stroller accessible then we used our backpack carrier. Here are our top 10 recommended places for family travel in Iceland on the Ring Road Route. Not only are all of these locations incredibly beautiful but they are very safe and accessible for families traveling with young children. Perfect right? Kirkjufellsfoss Waterfall - Gorgeous falls with a path that goes up and around the falls. Parking lot is just a five minute walk from the falls and it is stroller accessible! Godafoss Waterfall - Massive falls with tons of walking paths on both sides of the falls. Parking lot is a 5-15 minute walk to view the falls depending on which side you choose to see. 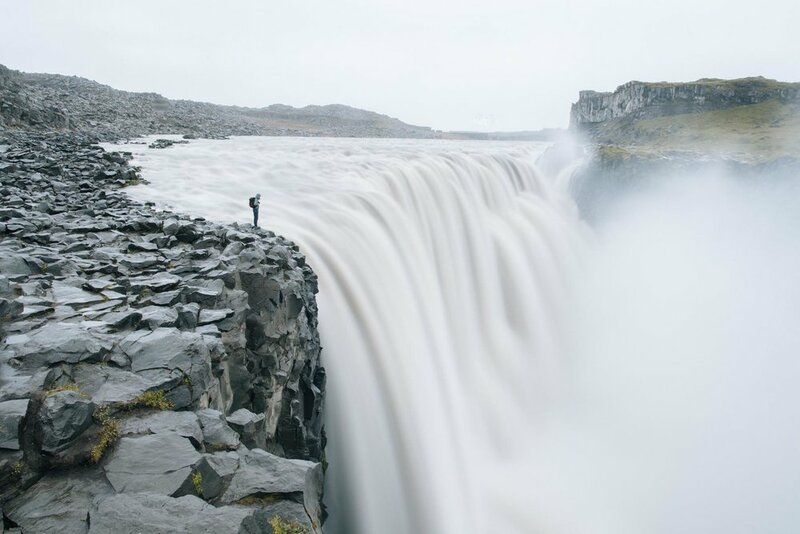 These falls are a must see in our opinion! They are spectacular! Dettifoss Waterfall - The most powerful waterfall in Europe and completely worth a 30 minute detour off Ring Road! The falls are a 10-15 minute walk from the parking lot if you visit the East side of the falls. There were fewer people here than any other falls we visited in Iceland. These were our favorite falls in Iceland! They might be considered dangerous as there are no guard rails so we kept Whitney in the carrier at these falls. Stokksnes Black Sand Beach - Beautiful black sand beach with an incredible mountain in the background! There is a small admission fee that you pay at an office for access to the beach and the area. There is a small parking lot right at the beach. There are also other sites in the area including a lighthouse. Diamond Beach - This beach has chunks of glacier scattered along the shore and floating along in the water. We camped right at the beach and woke up to spectacular views. Jokulsarlon Glacial Lagoon - Amazing views of the Jokulsarlon Glacier. The lagoon is filled with large Glacier pieces floating out into the ocean, a truly incredible site! There is a parking lot right at the lagoon. 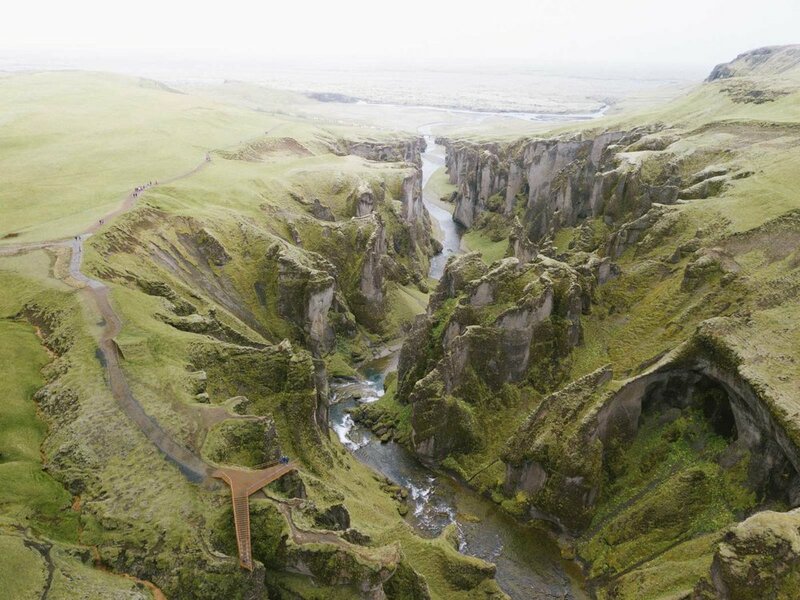 Fjadrargljufur Canyon - This gorgeous canyon looked like it belonged in a movie! You can hike up to the top of the mountain for gorgeous views down into the canyon. Beautiful hiking and incredible scenery. Parking lot nearby and the hike to the top takes around 15 - 20 minutes with several viewing platforms along the way. Skogafoss Waterfall - Very famous and iconic Iceland waterfall. You can view the waterfall from the bottom as well as the top. This is one of the busiest waterfalls in Iceland so we spent time there at night and early in the morning! Parking lot is just 5 minutes from the falls. If you get really close to the falls there are fewer people which make for great photo opportunities! Bring a rain jacket because you’ll get wet! Seljalandsfoos Waterfall - Another incredible and iconic Iceland Waterfall! This is one of the waterfalls that you can walk behind, it’s spectacular! Parking lot just a 5 minute walk to the falls. 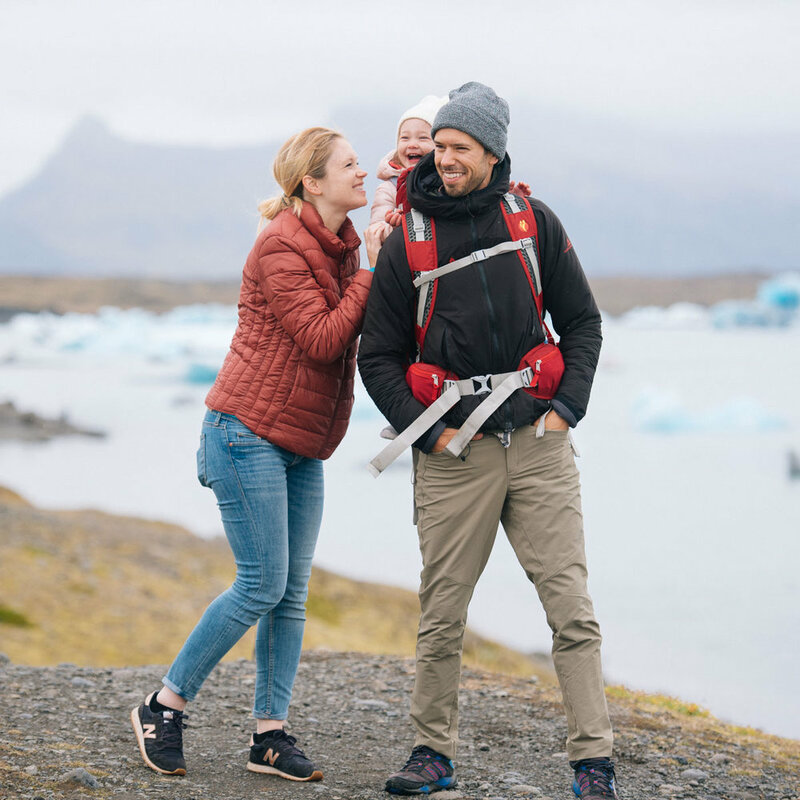 As you can see Iceland is not short of places to visit with a family! There is so much to do! We think that traveling Iceland in a campervan is the way to go! We were able to visit all of these places during less busy times because we were in the campervan and had more flexibility. Campervans vary in size, we rented a campervan that seated 4 and slept 2 (our baby snuggled with us) and it was really great! We were able to cook all of our meals in the van and there was a heater so we slept very well. Traveling in a campervan gets you closest to the sites you want to see and allows you so much freedom and flexibility to travel at your own pace! We were able to stay at campsites every night and had access to bathrooms, showers, and kitchens. Campervan travel is so great for families! The campervan that we rented was through Happy Campers. 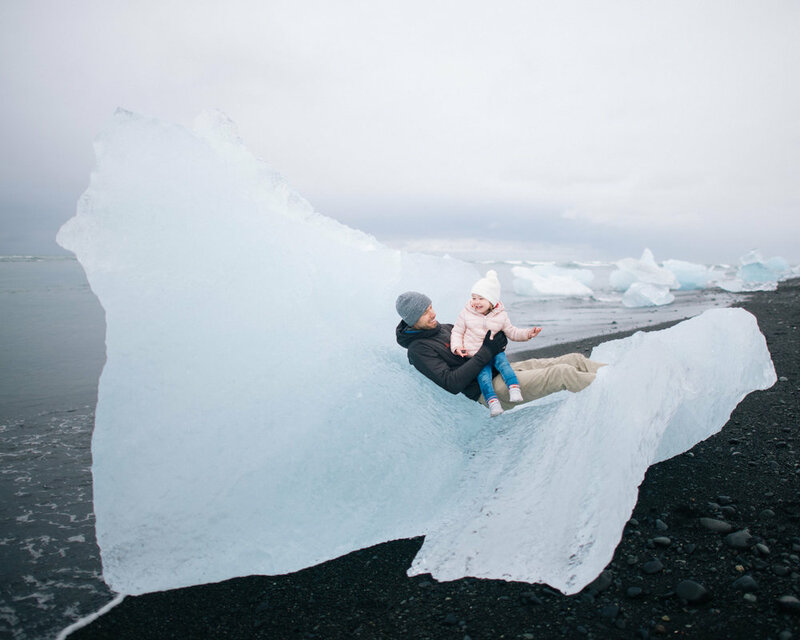 Traveling in Iceland with an eighteen month old was totally doable and tons of fun. We always love having Whitney along on these adventures, and now can’t imagine what travel would be like without her! There were people that told us before we had Whitney that we would have to stop traveling once we started having kids! Well... we have discovered and believe that our greatest adventures were just beginning when we had Whitney. Traveling with a baby has given us the opportunity to connect with new cultures in a way that wouldn’t be possible otherwise. Traveling with a baby has helped us come even closer as a couple and a family and has honestly made us better people! Our experiences, both the happy and the hard, are ones that we will treasure for a lifetime! 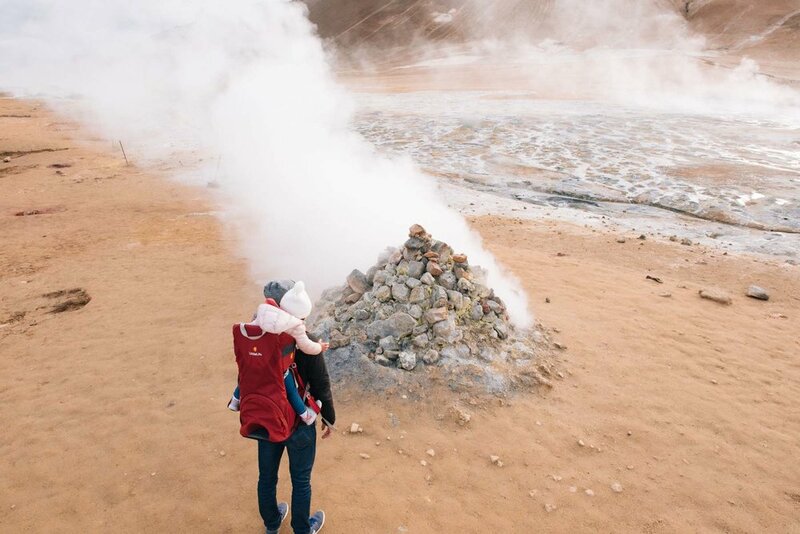 Our Iceland experience was no exception and we would recommend it as an ideal place for family travel.